She is Pamela Wilson, and she is a digital entrepreneur. And much, much more … including her answers to my five rapid-fire questions. Voiceover: Rainmaker.FM. 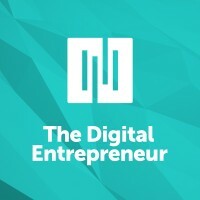 You are listening to The Digital Entrepreneur, the show for folks who want to discover smarter ways to create and sell profitable digital goods and services. This podcast is a production of Digital Commerce Institute, the place to be for digital entrepreneurs. DCI features an in-depth, ongoing instructional academy, plus a live education and networking summit where entrepreneurs from across the globe meet in person. For more information, go to Rainmaker.FM/DigitalCommerce. Jerod Morris: Welcome back to The Digital Entrepreneur, the show where digital entrepreneurs share their stories and the lessons they’ve learned so that we can all build better digital businesses. I am your host Jerod Morris, the VP of marketing for Rainmaker Digital, and this episode No. 31. This episode of The Digital Entrepreneur is brought to you by the Rainmaker Platform. I will tell you more about this complete solution for digital marketing and sales later. You can check it out and take a free spin for yourself at Rainmaker.FM/Platform. On this week’s episode, I am joined by someone who has built her professional life around teaching savvy business owners how to boost their marketing skills. My guest is an award-winning graphic designer and marketing consultant who has helped small businesses and large organizations create big brands since 1987, hint, hint. In 2010, she founded Big Brand System to show small business owners how a system of strategic marketing and great design makes them look professional, cohesive, and successful. She believes that your business may be small, but your brand can be big. If you’re a regular listener of Rainmaker.FM shows and a reader of Copyblogger.com, then you’ll be very familiar with her and her work. She’s currently the executive vice president of educational content at Copyblogger Media, where she helps people like you build a strong presence on the web. She is about to become a published author because her book, Master Content Marketing, will be officially released tomorrow. That is Friday, the day after this episode goes live, Friday, October 21st. You can get more information at MasterContentMarketing.com. She is Pamela Wilson, and she is a digital entrepreneur. Pamela, welcome to The Digital Entrepreneur. How are you? Pamela Wilson: I am great. I’m thrilled to be here. Jerod Morris: You’re just back from Digital Commerce Summit, yes? As I am as well. Pamela Wilson: Yes, have not finished unpacking my bags, but I’m back. Jerod Morris: I barely finished unpacking my suitcase over the weekend. Man, it was really a great event. You gave a great presentation on developing an interactive community. Was there any one single takeaway for you from the event, from the experience overall? Pamela Wilson: Overall — and I think we’ll probably talk some more about it — what I loved the most was just interacting face to face with people whose names I knew, whose avatars I had seen. Just to see them face to face, talk, get to know a little bit more about their businesses, and hear their questions — that element of it I just love. It’s my favorite part. Jerod Morris: That is always the best part of the events, no question — to be able to meet people that we’ve interacted with via email or over Twitter, and being able to put faces with names. Yeah, just to hear everybody’s stories, talk about their individual businesses and projects, that’s by far my favorite part, too. Jerod Morris: Yes. Something else exciting happened while we were at Digital Commerce Summit. That is that I got to hold a physical copy of your new book, which I believe is the first physical copy out in the wild, if I’m not mistaken. Pamela Wilson: It’s funny. This is a new thing for me. This is the first book I’ve ever written. I’m still learning the ropes, obviously. I had set this release date for later this week, but I still am not completely clear on how this happened. The company that’s doing the print-on-demand work started shipping them, despite the fact that, in my file, it says they’re not supposed to ship them until later. Leslie Staller, who’s one of our long-time customers, showed up at the Summit with a copy of my book. She said, “I have your book. Have you seen it?” I said, “No.” She showed it to me. It was fantastic. It was such a good feeling to see it in real life. Again, it’s that feeling of seeing something in real life, right? Something that’s been virtual. Jerod Morris: Absolutely, and it looked great. You sent me the proof of what the cover will look like, and it looked great in person. For Leslie, she’ll have a collector’s item forever, the first copy of this book. Pamela Wilson: She will, and it’s the first book I ever signed as an author. That was kind of cool. Somebody took a photo, and we have photo evidence of the first book I ever signed. Jerod Morris: Isn’t that cool? Pamela Wilson: It was very cool. The other piece of it that was neat is that my background is as a publication designer. I did that for decades. Magazines, books, brochures, newsletters — anything in print that was basically taking words, putting them into print, and making them look good — that was what I did for decades, in English and in Spanish. I did it for a really long time, and I haven’t created a physical product in a really long time. That piece of it was fantastic, too — just to see pages that I had designed all bound together into this object that you could hold. That was such a good feeling. Jerod Morris: Yeah, now people may be wondering listening to this, why are we talking about a physical book when the show is called The Digital Entrepreneur? Pamela Wilson: Zero to Book with Jeff Goins. Jerod Morris: Zero to Book, yeah. Jerod Morris: Zero to Book on Rainmaker.FM, and you are actually doing an episode with us on The Showrunner talking about that experience as well. For folks who are interested in learning more about that experience, you can go to Showunner.FM and learn more about that. Obviously, for the rest of this episode, we want to dive into the background that gave you a lot of the experience that you talk about in this book, your background as a digital entrepreneur. Let’s dive into that, if you’re good with that. Are you ready? Pamela Wilson: Yeah, let’s do it. Jerod Morris: Let’s start out with the question that I always ask our guests to start out. I’m always interested to hear the many varying responses that we get. I’ve always believed that the number one benefit of digital entrepreneurship is freedom — the freedom to choose your projects, the freedom to chart your course, and ultimately, the freedom to change your life and your family’s life for the better. What is the biggest benefit that you have derived from being a digital entrepreneur? Pamela Wilson: Well, you know me well enough, Jerod, you know I’m kind of a contrarian, right? My answer is going to sound a little bit contrarian, but it’s because I had my own business for almost 25 years at this point. From the beginning, my office was always in my home. That was because, when I started my business, I was a brand-new mom, and I basically just wanted to be where my children were. Twenty-five years is a long time ago, and back in those days, people kind of looked at you side-eyed if you worked from home. It was like, “Oh, you don’t actually have an office? You work from home” — which is laughable nowadays because the tables have completely turned. I think in a way people are like, “Oh, you have to go into an office? You can’t do your work from home?” Right? Jerod Morris: We’re the ones laughing now. Pamela Wilson: I know, seriously. I have seen that whole change happen over the years. I was on the other side of that continuum. Now I’m over here where it’s totally accepted, and it’s almost expected that you work from home, especially in certain fields. This is the contrarian part — as far as my working environment, I actually have had a lot of freedom and flexibility from the very beginning because I set it up that way. The difference that I have seen since I’ve become a digital entrepreneur and had an online business — which I started in 2010, Big Brand System –for me, it’s been about reach. Back in the day when my business was offline, I had local clients, I had regional clients, and I had a handful of national and even international-level clients. But the national and international clients were all based regionally. They were people who I could drive to their offices and have a meeting with in person. One of my clients was the United States Golf Association, which is a pretty big organization nationally. They oversee the US Open. They write the rule book for golf in the US. They were like a 45-minute drive away. I used to go over to their offices, and I produced a publication for them. I had another kind of international client that, again, was based locally. They were a 30-minute drive away. That’s the difference that I see is I was able to get some reach, but really the clients were all local. The difference now is that I’m helping people from all around the globe. In Authority for example, we have people from all over the place, and we meet with them virtually and help them. I just love that aspect of it. Jerod Morris: Well, and you kind of started to answer my second question here, which is, I’d love for you to take us back before you became a digital entrepreneur and explain what you were doing, which you did. Really, what was missing that led you to want to make a change and led you to want to start Big Brand System? Pamela Wilson: Well, I started my career as a designer, but I was always a designer who was interested in marketing. I ended up offering both things, kind of marketing consulting, and then design work. If there was print work involved, I could help to make that happen as well. For part of my career, I actually was living in South America. I did my work in Spanish. I had my business down there. I just got to this point after almost two decades of doing that where I felt like I had designed everything that there was to design — from business cards to billboards, to magazines, to books, in English and in Spanish. You know what I mean? Pamela Wilson: I was just like, “I feel like I’ve done it all three times over in two languages.” It just did not have the same kind of challenge for me that it had in the early days. Then I also had this major crisis, and I’ve never told you the story. At one point in the late ’90s, it hit me that all the marketing materials that I was working to help create and bring to life ended up in a landfill. It just hit me like a ton of bricks. All this stuff that I’m helping people to create to promote their businesses, it all gets thrown away eventually. Pamela Wilson: Nobody hangs onto it, right? That realization hit me in the late ’90s, and honestly, it wasn’t until later in the 2000s that I was able to figure out how to change that. That was where online business, online marketing, and content marketing really came into play. That’s one of the reasons I wanted to write Master Content Marketing. I feel like it’s a much better way to market your business. It just feels a lot more like you’re serving the people you want to reach, rather than just pushing messages out at them — which is what the first decades of my career were all about. The marketing can be so valuable that people actually save it instead of throwing it away. I literally created marketing that would arrive in your mailbox, and you would stand over the garbage and just throw it out. That’s what I was doing for many, many years. They were beautiful pieces. Except for maybe the magazines and maybe some annual reports and books, there were really just a very small percentage of what I was bringing to life was saved and valued. Pamela Wilson: That’s unbelievable to me. It’s such a change. I love that element of online marketing and content marketing — that it’s starting from a position of really helping people. Jerod Morris: Was there a particular eureka or flash-bulb moment when you had that realization about, as you said, all your marketing materials ending up in a landfill? Or was it something that you came to gradually? Jerod Morris: Yeah, wow. Tell me about the milestone or moment in your career since you’ve become a digital entrepreneur, since you’ve moved online, that you are the most proud of. Pamela Wilson: Yeah, well, I’ll tell you, Big Brand System actually started out that it was going to be a book. I wanted to write a book. I felt like I had learned a lot about how small businesses can create a recognizable brand that helps to position their businesses, and I was going to write a book. Right around that time, I found Copyblogger. That was how Big Brand System became a blog instead of a book. I’m very happy that it worked out that way. That was really the best way to do things. What I did after I found Copyblogger is I signed up for Teaching Sells, which was launching right around the time that I found Copyblogger. I got to know the team a little bit, and I submitted a first guest post in early 2010. This is literally like only a few months after I started to write online content. That was unbelievable that was accepted by them, you know? She published the second one, so I sent another. This went on for a few months. She would publish something. I would send another to replace it. Finally, in June of that year — so a few months after I submitted that first post — she asked me to write for Copyblogger once a month. This, by far, is the digital entrepreneur moment that I’m most proud of. At the time, it felt like I was being invited to perform at Carnegie Hall once a month. It was just unbelievable that a site like Copyblogger wanted to publish my writing, and I didn’t feel like I was a writer. It just felt like major validation for something new that I was doing and was very exciting. I think I walked around a couple of feet off the ground for a couple of days. It was very exciting. Jerod Morris: Hey, it’s obviously led to many opportunities since, so that’s great. Pamela Wilson: I know, I’m still pinching myself. I can’t believe it. Jerod Morris: On the flip side of that then, tell me about the most humbling moment in your career as a digital entrepreneur and, more importantly, what you learned from it. Jerod Morris: Hey there, pardon the interruption, but I did want to make good on my promise to tell you more about the Rainmaker Platform. As you probably know, stitching together a website that truly gives you everything you need to demonstrate your authority, connect with your audience, and earn recurring profit isn’t easy. You have to find good hosting, plus security and support you can trust, which is a headache. You need a patchwork of plugins that can prove to be a nightmare at the worst possible time. You need the ability to create content types, ranging from blog posts to podcasts, to online courses. What about integrated landing pages, email marketing, and marketing automation to deliver a truly adaptive content experience? These aren’t nice-to-have features anymore for the smart, profitable digital entrepreneur. They are necessities. Well, you have two choices. You can piecemeal it together, pay more in total, and then cross your fingers and hope everything plays nicely together — or you can use the Rainmaker Platform. Rainmaker is a fully hosted, all-in-one online marketing and sales machine that gives you everything out of the box in one dashboard. You can run a successful podcast, host authority-building membership areas, and sell in-depth, module-based, revenue-generating online courses. You can even use RainMail to host all of your email lists and send broadcast emails and autoresponder sequences right there in your Rainmaker Dashboard. Plus, the full email integration with your website platform gives you insight about your audience and content flexibility that you simply cannot get with separate solutions stitched together. Oh, and rather than having to choose from one of 100 different places for support when you have a question, with Rainmaker, it’s just one support team ready and excited to help you out. All of these reasons and more are why Rainmaker.FM runs on Rainmaker — and why all my personal sites do, too. Don’t just take my word for it, check out the Rainmaker Platform for yourself. Go to Rainmaker.FM/Platform, and start your free 14-day trial today. Now, back to my discussion with Pamela Wilson. Pamela Wilson: Well, I spoke about this at the Summit just a little bit because I did speak about membership sites, like you said. I took Teaching Sells. The whole point of Teaching Sells at that time was to teach you how to put together an interactive membership site. I took the course. I went through every single module, took notes on everything, and I put my head down and started creating my membership site. Well, what I ended up doing, and I mentioned this at the conference, is trying to pour the entirety of my professional knowledge into this one course. It was just way too much information. I since have seen a lot of other people make this mistake, and I recognize it because I did it myself. What I realize now is that people actually want less information, but they want that information to be more digestible. You can’t just drown them in facts and figures. It’s not fair. People are busy, and they need you to break it down and make it easy for them to understand. The other thing is that you burn out. As an information creator, you end up burning yourself out when you pour way too much into it. Now what I do is make sure that everything I teach has some kind of structure that helps the people who are receiving the teaching to understand it and digest it. It also helps me to deliver that information in a format that’s just easier to produce. Jerod Morris: Yeah, well, and that has shown in the work that you’ve been doing at Copyblogger in charge of the educational content, for instance with Authority, which just has so much information. That’s been some feedback early on was, “There’s almost too much here.” You’ve really gone about putting that information into little mini courses, grouping stuff together, and making it much more digestible for folks. You’ve really put this into action everywhere you’ve been. Pamela Wilson: Right, yeah. We’ve been working on those mini courses for months. You just gave people a little preview because they have not been released. They’re in the middle of quality insurance checks right now, so it’s coming up very soon. Yeah, that was part of what I wanted to do was just to organize some of the sessions inside Authority so that they made sense together to teach specific concepts. That’s coming soon. I’m excited about that. Jerod Morris: Let’s fast forward to now. What is the one word that you would use to sum up the status of your business as it stands today? Pamela Wilson: Yes. It took a long time to get there, but like you said at the top of the podcast, it’s just this incredible feeling to hold this book in your own hands that you’ve been working on. It’s almost been a year that I’ve been working on that, talking about it on my podcast with Jeff, just putting in the hours to get it done, then learning the ropes of how to get it produced, and all of that. It’s been a huge, huge project. But when you finally have that published piece in your hand, it’s just an incredible feeling. I enjoyed it so much that I’m working on book two now. Pamela Wilson: Oh yeah. This one I’m going to be co-writing with this person you know well, Sonia Simone. Jerod Morris: Oh yes, I’ve met her. Pamela Wilson: Yes, doesn’t that name ring a bell to you? Jerod Morris: It sure does. Pamela Wilson: Yeah, we’re really excited. We’re going to be working on a book together. We’re still nailing down a topic, but it’s basically online business the Rainmaker Digital way and the Copyblogger way, which is a little bit different than maybe some people teach it. I’m excited about that. Jerod Morris: Yeah. Hey, I should have asked you this earlier. For folks who are interested in getting your current book, where’s the best place to go to order it, or to get information about it? Pamela Wilson: What I did is I created a landing page with links to all the different places where people can get it because people have their preferred places to find books. Because of the way I have it produced, it took a little extra effort to make this happen. I had it produced by a company that basically distributes anywhere. If you have a bookstore down the street where you would like to order it, you may have to order it, but you could get it from your local bookstore. It’s basically available wherever books are sold, but if you want to find a convenient page with a little more information on the book and then some links that you can click on, you can go to MasterContentMarketing.com. Jerod Morris: That’s a great domain. Pamela Wilson: How about it? Pamela Wilson: That was one of those things that I checked to make sure the domain was available before I nailed down the name of the book. Pamela Wilson: It’s interesting because it was highlighted in a good way last week at the Digital Commerce Summit. What I am finding is that I miss that personal touch that I had in my offline business. I used to have a lot of personal contact with clients. We would have meetings, go to coffee, or have lunch. I would make presentations to them, even phone calls. Nowadays, when you have a purely online business, even a phone call seems weird in a way, you know? Everything is so online, email, virtual, and social media. That still seems a little bit weird to me. I am a person who, really, I like people, and I miss being around them. When I say it was highlighted in a good way it’s because I got to have that contact with people last week, and I loved it. I think the pain point now for me is to try to figure out how we can combine the virtual delivery of our education with some kind of personal contact. Even if it’s not in real life, but it’s over video or on the phone. I think there’s a way to do that. I’m excited to pursue that and see if there’s a way to personalize our education a little bit more than maybe what we’ve been doing. Sonia and I have already talked about it and talked about ideas that we might be able to implement. I have a feeling that’s going to fuel what we do going forward. Jerod Morris: Well, and it’s going to be interesting to see where this goes. There is likely to be a coming revolution in this area with virtual reality as well, as Brian talked about in his keynote at Digital Commerce Summit. It’s going to be really interesting to see how that affects how we teach, how we interact with folks online. Pamela Wilson: Yeah, I would embrace that honestly. Anything that makes it feel a little more personal and like you’re really dealing with people, and there’s a little more two-way conversation going on, I would really embrace that. I think it’s missing. I miss it. That’s all I know. I think the students miss it, too. I tried to introduce some things in Authority, just some sessions and things that highlight our community members, and I think people have enjoyed that. Jerod Morris: Yep. Okay, so other than participating in conference calls with Robert Bruce, what element of your work gives you the most satisfaction on a daily basis? Pamela Wilson: You picked the biggest highlight, so what am I going to talk about now? But like I said to Brian at the time, “I like the work that this company is doing in the world, so yes, I’d like to be a part of it.” But I still have enough time for my own projects, and I really value that. It’s just important to me personally to remain the captain of my own ship, even if that ship is just a little row boat compared to the company that I work for. It’s important to me. I think it might be part of my identity at this point. I wouldn’t say that I’m unemployable exactly, but I’m someone who highly values entrepreneurship. It’s just an important part of who I am. To sum it up, what gives me satisfaction is the fact that I can have both of those things. I can work for this company that’s doing this amazing work in the world, but I can still captain my little row boat. I’m happy about that. Jerod Morris: Yeah, absolutely. Let’s open up your toolbox real quick here. What is the one technology tool that contributes the most to your success as a digital entrepreneur? Pamela Wilson: I would say Evernote, honestly. Pamela Wilson: Yeah, I know. I was using Evernote before I joined the team, but after I joined the team a couple of years ago, the volume of information that I had to manage just exploded. There was just so many more meetings and projects that I needed to track. Evernote is an extension of my brain. I cracked it open the first week and started using it pretty aggressively, the first week I started working as a member of the team, and I’ve never looked back. It’s completely searchable. I don’t lose things in there. When in doubt, I dump it in Evernote basically. Jerod Morris: Yeah, that’s not a bad philosophy. It’s one that a lot of people follow, I’m starting to learn. What is the non-technology tool that contributes the most to your success? Pamela Wilson: I would say that would have to be pencil and paper. Jerod Morris: Hmm, old school. Pamela Wilson: Yeah, I know. I write out my to-do list every morning. It’s like a piece of lined paper, and it’s got one of those red lines and a narrow column along the left side. I write the hours of the day — 7:00, 8:00, 9:00, 10:00, 11:00, 12:00, 1:00, 2:00, 3:00, 4:00, 5:00 — however many hours I’m blocking off to get work done. Then next to those hours, I basically write in what I want to accomplish in those different blocks of time. That has been tremendously helpful, just to have a map of my day. It doesn’t always play out that way because stuff happens. Just to kind of have a map of what I’m aiming for first thing in the morning, that has been super helpful. Jerod Morris: And you go pencil and paper. Do you have a tool that you use to track your to-dos, calendar, and all of that? Pamela Wilson: Yeah, I’m just laughing because it’s so low tech it’s kind of ridiculous. I have an ongoing to-do list in ByWord. It’s just a document where I have everything dumped that I need to get done. Like we’re recording on a Monday — so I have everything I wanted to get done on Monday, but it’s not in any kind of order. I pull it from there and put it onto my pencil and paper to-do list next to hours of the day. That’s how I know they’ll actually get done. It’s like, “From 9:00 to 11:00, I’m going to do this thing,” and I have this chunk blocked out for that one thing. It’s like a centralized list where all the to-dos live, and I put them into blocks of time with pencil and paper. Very low tech. Jerod Morris: But very effective. Pamela Wilson: Yeah, I’ve tried lots of other tools, and this seems to work better than anything else. Jerod Morris: Earlier I asked you for the one word you would use to sum up the status of your business as it stands today. You said ‘published.’ If we talk again in a year, what would that one word be? You’re not allowed to say published again with your book with Sonia. Pamela Wilson: Jerod, are you serious? I was going to say ‘published’ again. Now what am I supposed to say? Jerod Morris: Were you really? Jerod Morris: Did I really steal it? Okay, you can use it. Pamela Wilson: Well, I am hoping that by this time next year, the book that I’m writing with Sonia will be out, and we’ll be talking about it. I’m hoping it will be out before then. We’ll have to see how it all plays out. I have that second book. I’m starting to get really excited about it. I think some changes will be coming for the education inside Copyblogger. It was something that Sonia and I met about at the conference last week, but at this point, I’m not really sure what those are going to look like. I’m excited about all the possibilities, but I don’t know what they’re going to look like. I don’t have a word for them because I don’t know what they’re going to look like yet. Jerod Morris: Okay, but ‘published again,’ that’ll work. That is a big, ambitious goal to get a book out this year, do it again. Pamela Wilson: ‘Published again,’ and it’s two words. I don’t know, published again, maybe we’ll hyphenate them and make them a compound word or something. Pamela Wilson: Published again, that’s a big goal. Jerod Morris: Okay, are you ready for some rapid-fire questions here to close this out? Pamela Wilson: Oh yeah, bring it on. Jerod Morris: All righty. If you could have every person who will ever work with you or for you read one book, what would it be? Pamela Wilson: It would definitely be Predictable Success By Les McKeown, and I’ll send you a link to it. It is a fantastic book about the way businesses grow. It could be an online business. It could be an offline business. But it just explains the stages of growth in a way that’s different than anything else I’ve ever read. It’s super helpful to give you some kind of a map to follow, with some goals to aim for. Pamela Wilson: The funny thing is, it would be Joanna Penn, who I ended up sitting next to at our conference one of the days last week. Pamela Wilson: She asked me to sit next to her, and of course, I didn’t want to fangirl out too much. I’m like, “I’m sitting next to Joanna Penn!” But she has built a business around books, so I would love to have 30 minutes to ask her. I was too embarrassed to do it during the conference because it’s hard if somebody’s sitting there peppering you with questions. I didn’t want to be that person, you know? Pamela Wilson: I’m very lucky that because of the Zero to Book podcast, I had many, many calls, I mean way more than 30 minutes, with Jeff Goins, who has been through that book-publishing process as well. He’s a successful author, so I got a lot out of my conversations with Jeff. We obviously recorded them all so that other people could benefit from them, too. Joanna has a slightly different take. She does things differently. She’s a lot about volume of books and building up collections of books that you can then maybe group together and sell. I love that approach, and it’s worked really well for her. Joanna Penn of the CreativePenn.com. Jerod Morris: Yeah, she really focuses on creating intellectual property assets. By the way, for anybody who is interested, we have a case study with her inside of Digital Commerce Academy. I know from when this episode comes out, we’re actually closing the doors to Digital Commerce Academy for a while, probably until early 2017. If you’re interested in learning from Joanna, you can get in and watch that case study. It was fascinating just to see her life story — where she was, where she is now, and just the whole strategy that she has. Pamela Wilson: She really approaches it as a business, which I think is fascinating. Pamela Wilson: I think a lot of people think that writing a book is all about it being a passion project. That is super helpful. It’s helpful to have that passion, but she’s very strategic about it. I love that. I get a lot out of her materials. Jerod Morris: Yeah, and when you meet someone for the first time at these conferences, you don’t always know, obviously, how they’ll be in person. But she proved to be about as nice, kind, down to earth, and friendly as anybody could be. She was phenomenal. Jerod Morris: Next question, what is the one email newsletter that you can’t do without? Pamela Wilson: I am really liking what CoSchedule is putting out these days. Pamela Wilson: Yeah — they just have very well-researched, well-written, and nicely presented content. I find it very useful. They talk a lot about social media. I come from old-school marketing, so social media is still something I’m learning more about. And it’s always changing. They just have really good, solid information. I enjoy it. Jerod Morris: Next question, what non-book piece of art has had the biggest influence on you as a digital entrepreneur? Pamela Wilson: This is like the world’s most awesome question, I have to tell you. Nobody’s ever asked me that. I am very inspired by Pablo Picasso’s volume of work, and I talked about it in my book. He just created a lot of work. He just did a lot of work. It’s one of the things that I recommend to people when it comes to content marketing is to just write a lot. When you create a lot of work — first of all, you’re practicing, so you get better at it — but you just have more of a chance of creating a handful of pieces that become masterpieces the way his work became. Not all of it. He created a lot of work, and I’ve seen a lot of it in museums because he’s one of my favorite artists. What I said in the book is that not everything that he created was a masterpiece. Some of it, it just looks like he was trying to work out an idea, and the idea didn’t quite work, you know? Pamela Wilson: But you can see that he just kept at it, kept at it, and then he created a few pieces, they just take your breath away when you see them. Jerod Morris: Hmm, great one. Jerod Morris: You may have spilled the beans on this one already when we opened up your toolbox, but I will ask you anyway. What productivity hack has had the biggest impact on your ability to get more meaningful work done? Pamela Wilson: Yeah, well I have a different answer than what we talked about. Pamela Wilson: Yeah, my productivity hack really is breaking down a piece of content into its component parts and then understanding what each part of the content needs to accomplish. That’s actually the premise of my book. Really the guts of Master Content Marketing is this seven-chapter section basically, right in the middle of it, that talks about your headline, your first sentence, your introduction, your subheads, your main copy, your summary, and your call to action. Once I understood that good content marketing was made up of those pieces, and then I understood what each piece needed to accomplish, it became so much easier. That’s why I wrote the book that way. It’s like, “If you want to write a good first sentence, this is how you do it,” and I devoted a whole chapter to it. Jerod Morris: Finally, what is the single best way for someone inspired by today’s discussion to get in touch with you? Pamela Wilson: Well, I’m on Copyblogger every week because I’m now managing the editorial team, as you know. The best place to find me really is on Copyblogger, but they can also find me on Big Brand System. That’s two ways, so it’s double for your money. There you go. Jerod Morris: Yep, and that is BigBrandSystem.com, yes? Pamela Wilson: Right, that’s it. Jerod Morris: Excellent. Well, Pamela, it was fantastic to see you last week at Digital Commerce Summit. It is always great talking with you. Thank you for joining us on The Digital Entrepreneur. Pamela Wilson: Thank you, and thanks to everyone who listened. Jerod Morris: All righty, well thank you for tuning into this episode of The Digital Entrepreneur. My thanks, of course, to Pamela Wilson, my guest on this week’s episode. My thanks also to Will DeWitt and Caroline Early, who helped me produce this, and to the great Toby Lyles, who edited this episode for you. Just a quick reminder, go to MasterContentMarketing.com to check out the details on Pamela’s book. Don’t forget, as I mentioned, Digital Commerce Academy, we’re closing the doors next week. Not closing the doors forever, we’re just kind of shutting the doors for now. We’re going to re-open them in early 2017. If you want to get in and get access to all of the great education that is in there, including that case study with Joanna Penn that I talked about and Brian Clark’s course on how to build your online training business the smart way, go to DigitalCommerce.com/Academy, get the details, and get in. When we re-open it in 2017, the price will be higher. Don’t forget about that as well. Don’t forget to join us next week for another brand-new episode of The Digital Entrepreneur. We will be here. 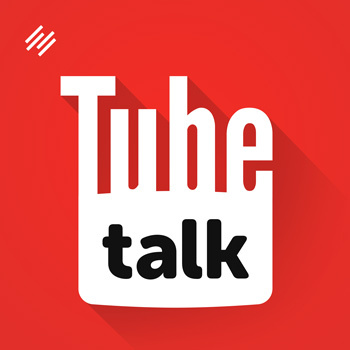 We will have another great guest, another great discussion for you. As always. you can find me on Twitter, @JerodMorris. I always appreciate your feedback on the show, so Tweet me anytime. With that said, have a great rest of your week, and I will talk to you next week on another brand-new episode of The Digital Entrepreneur. Take care.